All our dogs are registered. 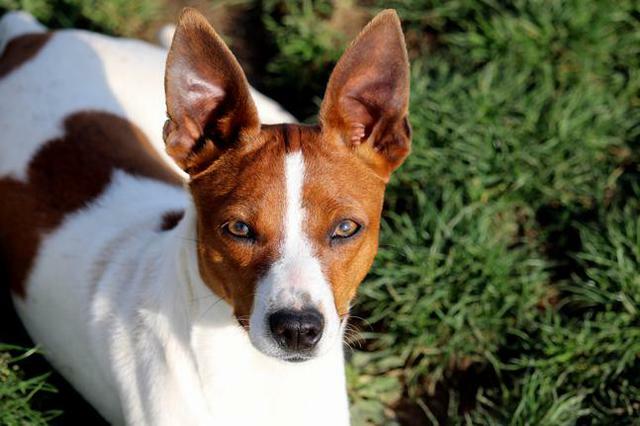 The Rat Terriers are registered with the American Kennel Club (AKC) Some of our adults are also registered with the Universal Kennel Club International (UKCI), the United Kennel Club (UKC) and the National Rat Terrier Association. (NRTA) and the Rat Terrier Club of America. 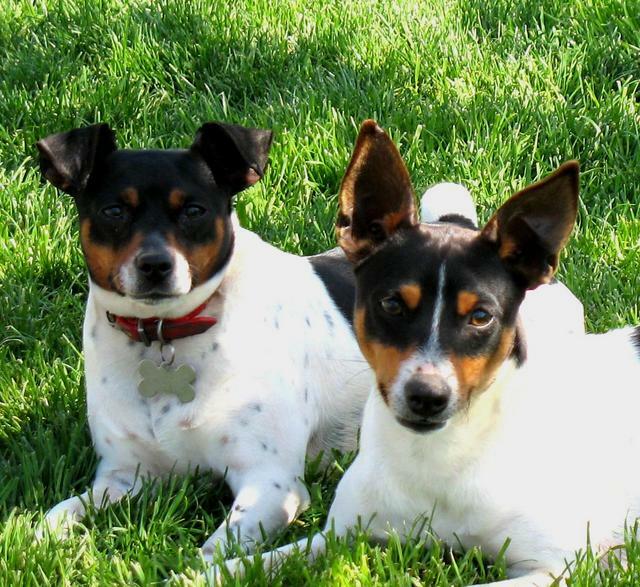 (RTCA) Our adults are PLL (Primary Lens Luxation) Tested and test results are shown on the Adult Rat Terrier page. We have three sizes, the Toy, Mini and Standard Rat Terrier. The largest pup (full grown) produced from our dogs is about 26 lbs. and the smallest is 6 lbs. 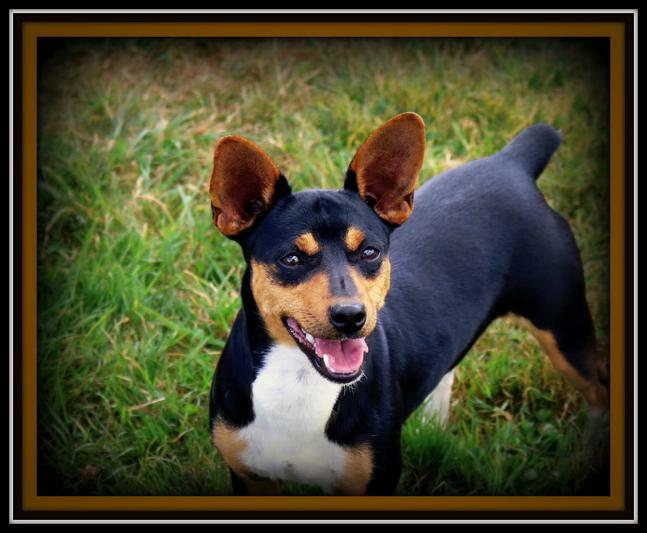 We also have the two ear sets that are found in the Rat Terrier, erect and tipped. 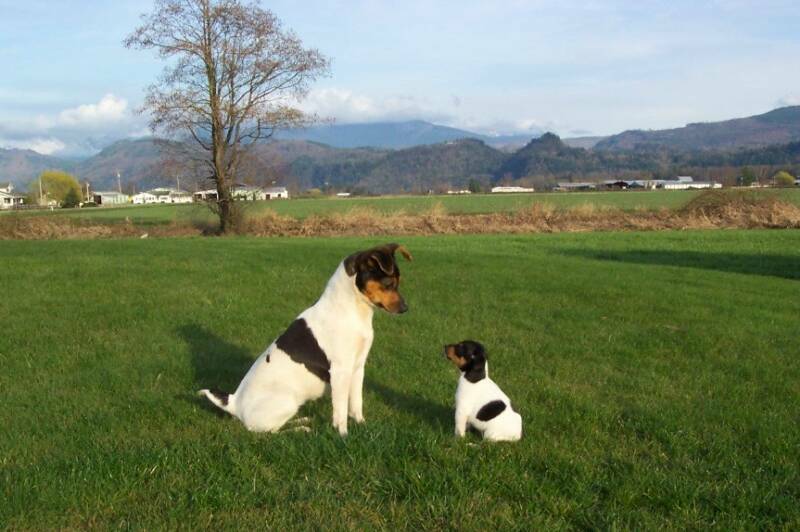 The colors that show in our pups are the traditional tri. 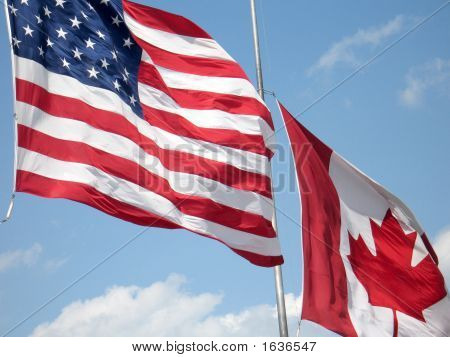 of black, white and tan, red and white, blue and white, and choc. brown and white. 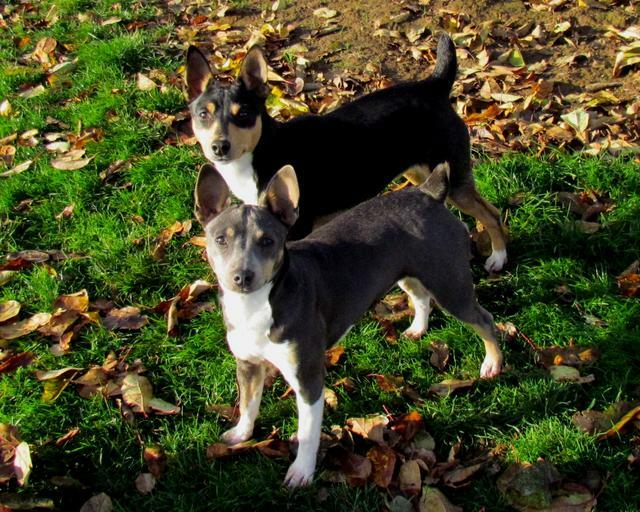 Look at our Adult Rat Terriers for pictures and information. 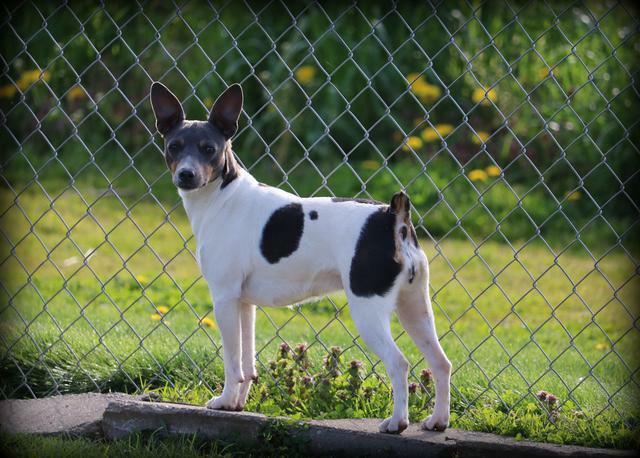 Also, check out our Rat Terrier puppies for sale page for puppies available. 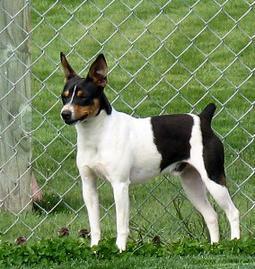 There is also Rat Terrier breed information on our Rat Terrier breed Information page. 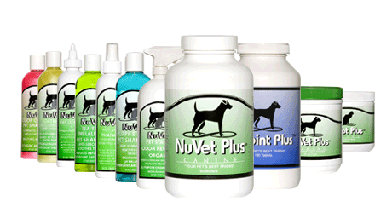 Our dogs are bred for good temperament, appearance and health. We hope you find our pups to be loving, healthy and a well rounded companion! Please feel free to e-mail or call us with any questions. Thanks to all who signed our guest book! We are closed on Sunday. If you email on Sunday those will be answered on Monday. Thanks! Also, be sure to check your junk folder for our response. Contact Info for "Clearbrook Kennels"
About us and breed info at "Clearbrook Kennels"
A Terrier enjoying a Kuranda Pet Bed. 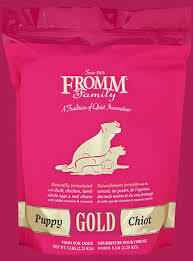 We are feeding Fromm puppy food to our pups. 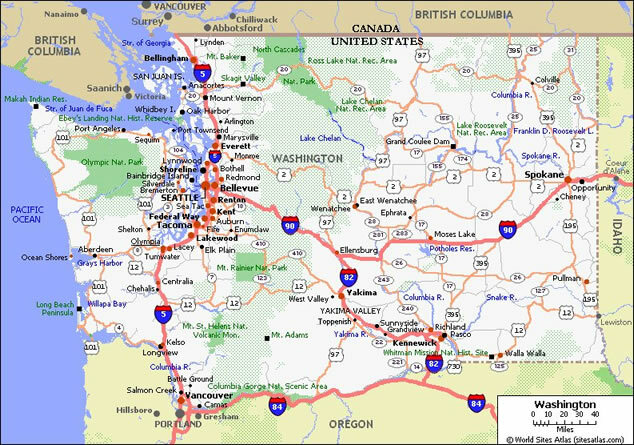 You can find this in your local area. 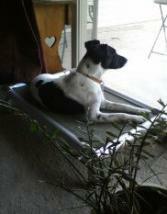 The Wonderful, Incredible Rat Terrier! 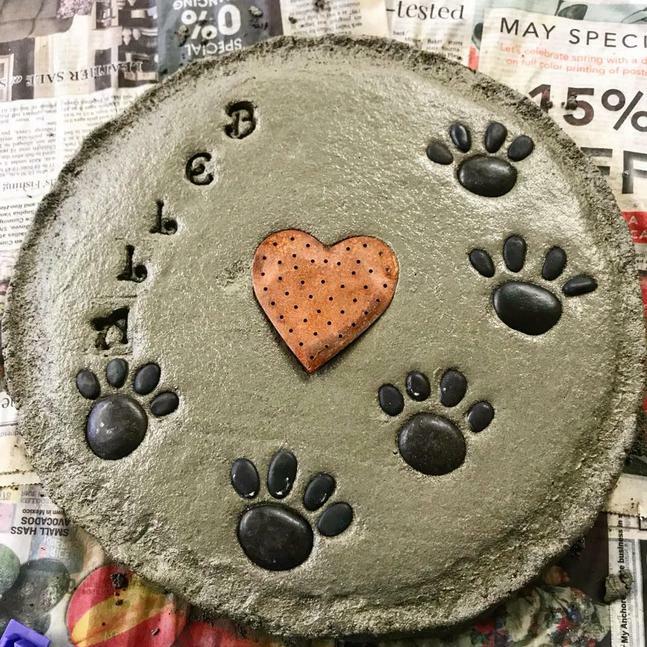 Email me if interested in a 'pet' stepping stone! 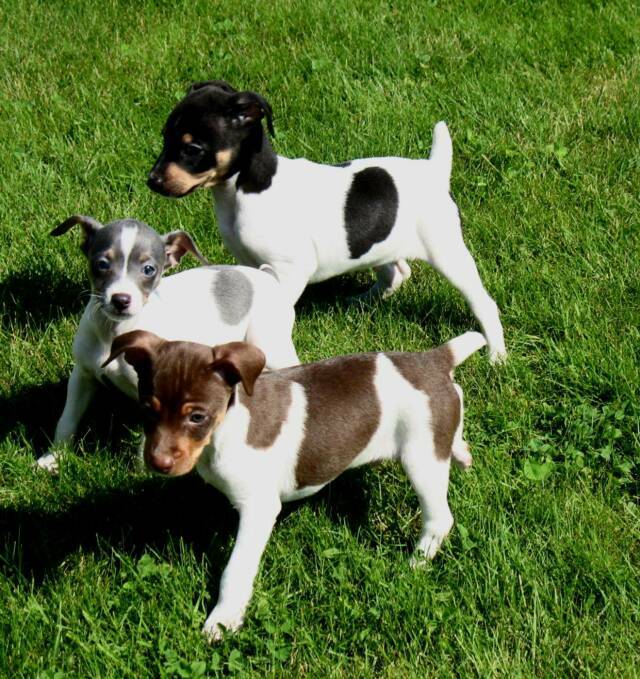 Wonderful, Adorable Rat Terrier Puppies!